Pres. 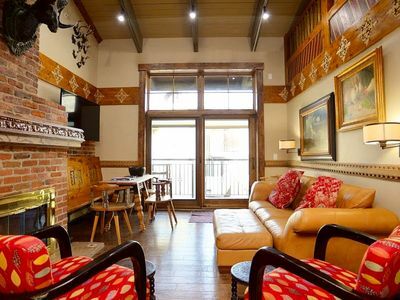 Day Week-Feb. 16-23 2019 (10% DISCOUNT for 7 DAY BOOKING! )Ski in Ski out! 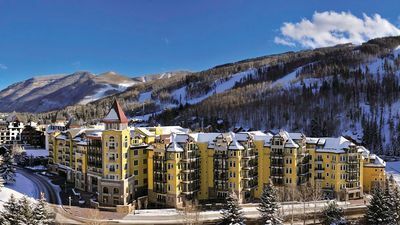 Be one of the first to discover the NEW Westin Riverfront resort located on the banks of the Eagle River and near the bases of 3 Beaver Creek ski areas. 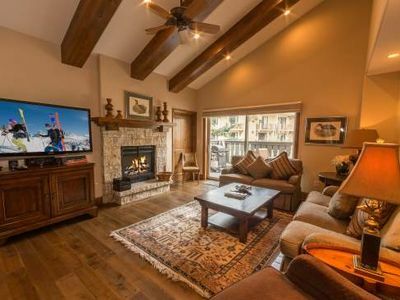 Enjoy this BRAND NEW, professionally furnished and appointed 2 BR/2 BA unit. 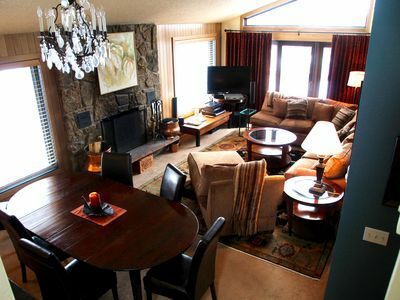 CONTACT US ABOUT RENTING JUST 1/2 OF THE SUITE! The master suite features a King Size pillow top bed with dual side tables and lamps. This luxurious suite also features a 32” LCD flat panel TV with DVD that sits atop a matching dresser/desk. 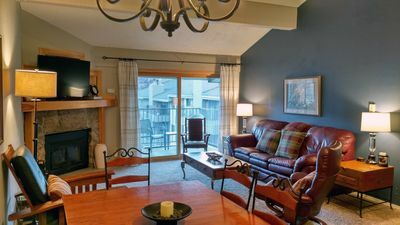 You can also relax in the included accent chair, watching TV, reading a book or just enjoying the beautiful mountain and river view off your balcony, accessible from the master bedroom. The master bath features a full bath tub with soothing Jets, full size DUAL HEAD stand up shower (glass enclosed) adjacent to a large Granite double vanity for ease in getting ready for your Exciting day and night ahead. 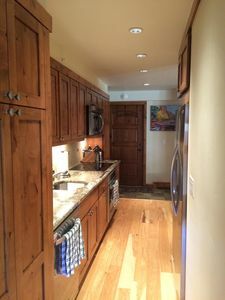 The fully furnished kitchen (perfect for a night or two in) features a full size refrigerator with ice maker, self cleaning oven & smooth top stove, built-in microwave, garbage disposal, quiet dishwasher surrounded by a granite counter top. This fully equipped kitchen also features a coffeemaker, toaster, blender, can opener, cooking utensils and complete service for 8. 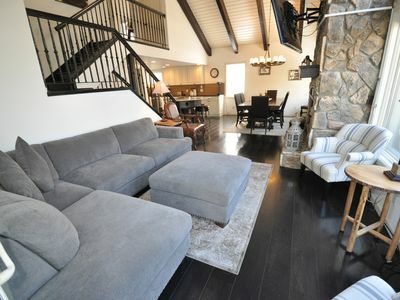 The living room features a dining table with seating for 8, a Queen sofa/sleeper and accent chair which are all tastefully arranged in front of a toasty gas Fireplace. 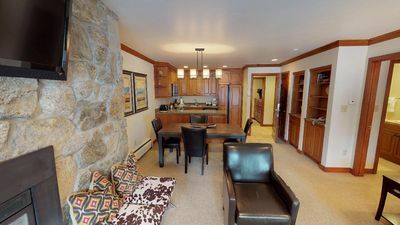 The fireplace is surrounded by a beautiful rock and wood mantel/dresser/closet which supports a 42” LCD flat panel TV, with DVD player and Bose radio/CD player to further Enhance your stay! 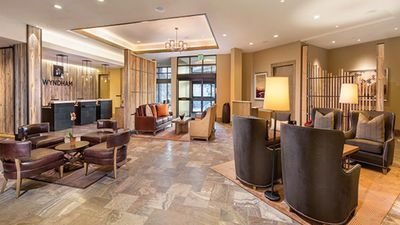 STUDIO SUITE - NOTE: THE STUDIO UNIT CAN BE AVAILABLE SEPARATELY AS A 1 BR/BA. This attached suite allows a group of family members or friends to have some privacy yet be connected thru a secure door which you can open or close as the occasion permits. 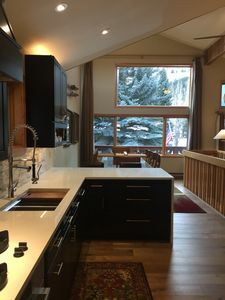 This fully furnished Kitchen features a beautiful granite counter top with full size refrigerator/ice maker, full microwave/convection oven, mini smooth top stove and dishwasher. It also features a coffee maker, blender, toaster, can opener, cooking utensils and complete service for 4. This area features a 4 seat dining table, adjacent to the kitchenette for ease in serving meals. 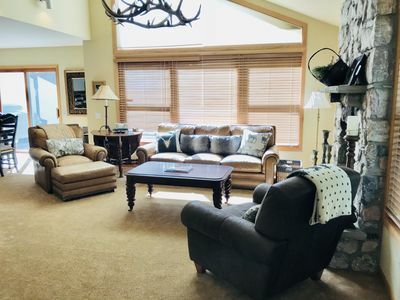 It also features a Queen Pillow Top bed and a full size sofa/sleeper and accent chair which allows you to relax and take full advantage of the 32” LCD flat panel TV with DVD player and Bose radio/CD player. This state of the art entertainment system is supported by a matching dresser/desk . This large bath features a single granite topped vanity adjacent to a full tub with the unique and Relaxing Westin Dual Head shower system. 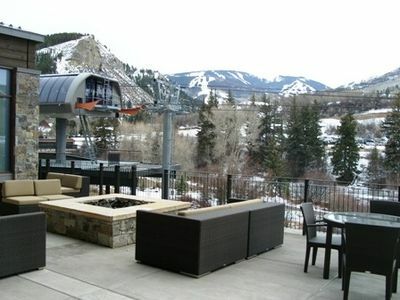 -	Unobstructed view of the Gondola, Eagle River and Beaver Creek! 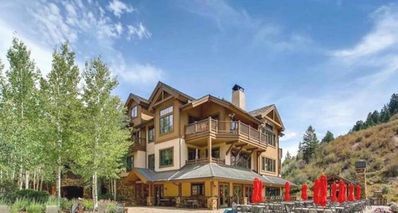 Just a short 10 minute drive to the VAIL ski area and via the onsite Gondola access to BEAVER CREEK, BACHELOR GULCH AND ARROWHEAD ski areas. 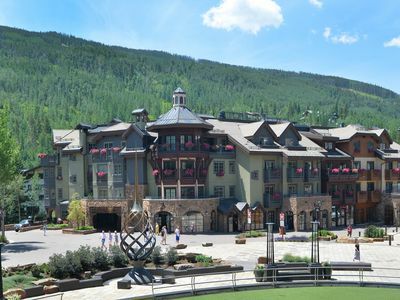 Within walking distance or (cabs and shuttles available) to the many popular and famous Avon/Edwards eateries and shops. Gold Medal 4 Brm! Cancellation Special! 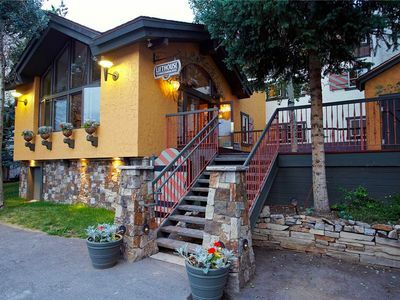 $299/night, from March 16th! 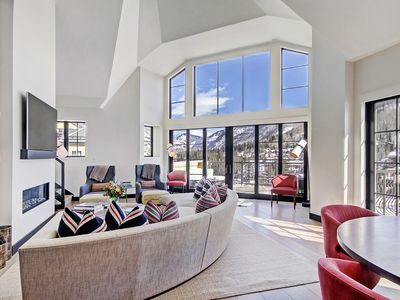 Iconic 5 Br Penthouse at the Ritz-Carlton, Sleeps 18 Guests! 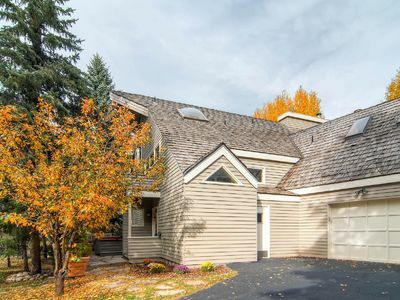 Spectacular 5 Bedroom, 6 Bath Home In B.creek. 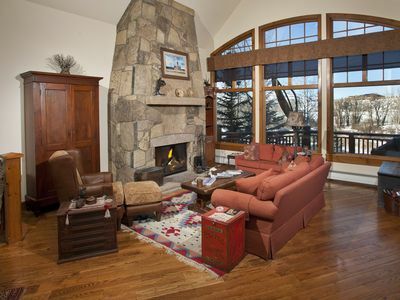 8,000 Square Feet, Must See! !